Reputed to have over 50 million customers, the Capital One card is recognized as a credit card from a major lending institution. When new laws regulating how credit card companies conduct business with the public Capital One pulled many of its previous credit card offers off the market. This was not unusual as it was being done at the time by every major credit card lender. It didn’t long for Capital One to realign its credit business and the company was quick of offer new credit card offers to appeal to a vast audience of consumers. No matter what type of rewards program you prefer, you will find it offered by Capital One. For both personal and business use, Capital Cards are heavy competitors in the credit lending marketplace. It seems no segment of the market is left unturned as even those with bad credit can obtain a Capital One credit card account. For several years, the marketing at Capital One was aimed at people who had less than good credit. While other lenders might focus on rewards or status of their credit cards, Capital One ads appealed to consumers those other banks might decline. This greatly increased the number of customers using the Capital One card. However, a deepening recession led to a high number of defaults. After the new credit lending rules went into effect, Capital One began giving consumers information on the level of creditworthiness needed to obtain each of the Capital One cards. This is a smart move as consumers can easily see whether fair, average, good or excellent credit is needed for any particular Capital One card. Decent credit ratings are required at Capital One. The lowest rating of “fair” refers to consumer with little credit but not to those with bad credit. The flagship cards for Capital One today are the Venture Rewards credit accounts. The rewards program offers miles earned on every purchase made with the card. 10,000 bonus miles can be earned in the first three months if you charge $1000 to your new account. Excellent credit is required and you can choose from a card with no annual fee or one with higher rewards and a $59 annual fee. 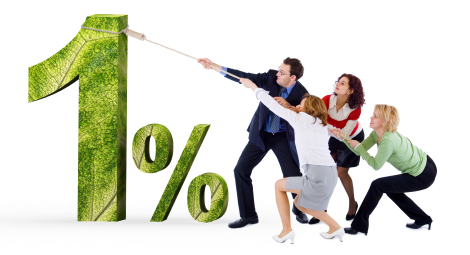 An attractive feature is a lower than usual APR or 13.9% or 14.9%. There are two Platinum Capital One card options. The most popular requires good credit while the Prestige version carries a lower interest rate and is issued only to consumer with excellent credit. If cash back is your favorite credit card reward program, the Capital One No Hassle Cash Rewards card is a good choice. With 2% cash back for gas and groceries, your credit can build quickly if you use this credit card for day to day necessities. There are two versions of the Capital One No Hassle credit card – one requires excellent credit while the second lists fair credit as a requirement. There are two other Capital One card options for those with little credit history. The first is the Capital One Classic Platinum card. There is a 0% introductory rate and a $39 annual fee. The 19.8% variable APR reflects the higher risk of approving an account holder with less than good credit. There are no miles or cash back awards for this account but you can create your own card design. The Capital One Student Rewards card requires fair credit as it is assumed a college bound students would not have built a credit file as yet. The cash back reward is 2% on restaurants, entertainment venues, cell phone bills (with certain providers) and books. All other purchases are awarded 1% cash back. There is no annual fee but the interest rate is exceptionally high at 24.9% variable APR. If you are a student applying for your first credit card it is advisable to compare other offers for student credit cards with the Capital One card. Although the cash back benefit is attractive, the high interest rate may cancel out the benefit unless you are able to charge your purchases and pay for them in full each month. Many consumers today have bad credit due to high medical bills or job loss. Bad credit can keep you from renting an apartment or buying a car. You will be charged more for insurance and turned for loans if you have a bad credit rating. Bad credit is not insurmountable. Secured credit cards from Capital One are credit lines issued after you have placed funds in a savings account to guarantee your credit card. You could fund a debit card purchased over the counter and use it like a credit card without placing several hundred dollars as a guarantee. However, the cash debit card will do nothing to improve your credit. With the debit card, you are only spending the money you have on the card. There is no interest rate and there is no risk for company issuing the card. A secured credit card can rebuild your credit if the lender is one reporting to credit bureaus monthly. Capital One is such a lender. You will pay an annual fee and the interest rate will be close to 20% but will be able to overcome the bad items in your credit file in time as good payment reports override the black marks. The Capital One Secured Master Card will help rebuild bad credit as the accounts are reported to the three major credit rating bureaus. Online tools are available to help you control your use of credit and plan your purchases. This card can be used just like any MasterCard and you may qualify for credit line increases in the future with no further deposit required. Students who have damaged credit can obtain a secured Capital One card for young adults. This card is reported monthly to rating agencies and using it wisely can rebuild your damaged credit. Capital One is one of the leading issuers of credit cards in the country. You can apply for the Capital One card you need and be confident of approval if you heed the credit requirements listed for each account. This credit lender has a card to suit almost any consumer need. If you want to earn miles quickly, get cash rewards on everyday items or need to rebuild you credit, there is a Capital One card for you.